Why SMPE Traditional Ignition ? We have a full line of products that cover the traditional ignition system including distributor caps, rotors, condensers, starter solenoids, voltage regulators and ignition modules. A distributorless ignition system (DIS) control module controls current flow to the coils. The DIS module processes sensor inputs about crankshaft position and engine speed to establish ignition timing and sequence. SMP's modules undergo extensive testing ensuring better quality, increased confidence, enhanced performance, and improved durability. 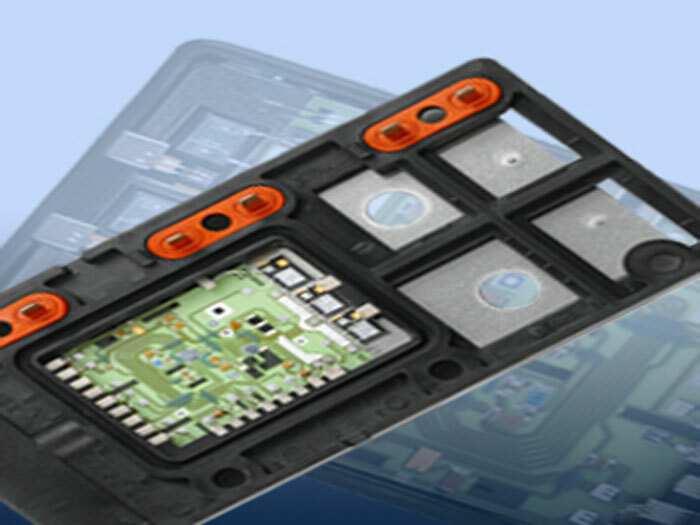 Flip Chips provide the best connections and are matched to the thermal expansion properties of our ceramic substrate eliminating failure due to broken connections between the chip and the board. Double wire bonds make better connections for greater dependability and longer life, despite intense vibration and other harsh conditions. A copper slug heat sink provides better heat dissipation to prevent damage to the module. The electronic suppression diode (ESD) protects the unit from voltage spikes that could destroy it. You can find our Air Mass Sensors in our online Catalogue under the Intermotor brand.